The burden of chronic disease has increased substantially over the past few years, and is expected to grow further as the global population and life expectancy continue to grow. For example, the number of individuals with Parkinson’s disease (PD) in Western Europe’s 5 most and world’s 10 most populous nations are expected to double by 2030, and India is projected to face one of the highest growth rates. This could result in huge barriers in assessing quality healthcare services, exacerbated by factors such as wealth, gender, caste, and geography. Researchers at the OICSD are investigating the role of technology in addressing these unprecedented healthcare challenges facing our societies. Specifically, we are developing novel remote technologies that can be deployed as reliable, non-invasive and inexpensive diagnostic support tools in home and community settings. 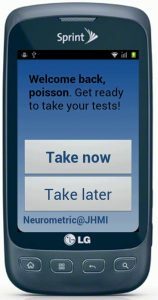 We have been involved in developing a smartphone-based test for detecting the motor symptoms associated with Parkinson’s disease. Moreover, we have been investigating the efficacy of using telephone-quality voice recordings to develop a screening tool for Parkinson’s. Using these technologies, clinicians could monitor large number of patients remotely, and offer personalized guidance and services that are highly customized to ones needs. This could revolutionize health diagnosis and care in India and globally. Another direction of computer assisted health diagnosis research currently undertaken in OICSD involves developing open source software tools for the detection and analysis of small vessel disease (SVD) signs on brain MR images. 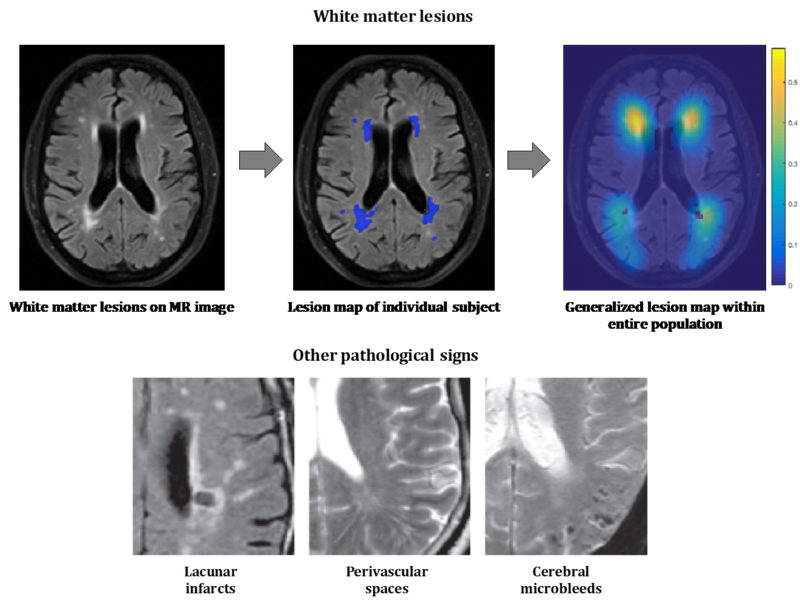 Most common signs of SVD are white matter hyperintensities and cerebral microbleeds, and they have been associated to vascular disorders and neurodegenerative diseases (including dementia). Detection of these signs could help us in diagnosis and discrimination of different disease subtypes (e.g., vascular dementia vs multiple sclerosis). This would be very valuable from a clinical perspective, especially in cases where the early symptoms are similar but treatments should only be administered in certain cases and may be detrimental for others. Sundaresan, L. Griffanti, P. Kindalova, F. Alfaro-Almagro, G. Zamboni, P.M. Rothwell, T.E. Nichols, M. Jenkinson (2019). 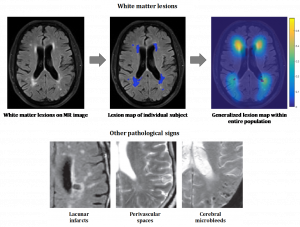 “Modelling the distribution of white matter hyperintensities due to ageing on MRI images using Bayesian inference”, NeuroImage, 185, pp.434-445. Arora, F. Baig, C. Lo, T.R. Barber, M.A. Lawton, A. Zhan, M. Rolinski, Ruffmann, J.C.Klein, J. Rumbold, A. Louvel, Z. Zaiwalla, G. Lennox, T. Quinnell, G. Dennis, R. Wade-Martins, Y. Ben-Shlomo, M.A. Little, M.T. Hu (2018). “Smartphone Motor Testing to Distinguish Idiopathic REM Sleep Behavior Disorder, Controls, and PD”, Neurology, 91(16), e1528-e1538. Arora, N.P. Visanji, T.A Mestre, A. Tsanas, A. AlDakheel, B.S. Connolly, C. Gasca-Salas, D.S. Kern, J. Jain, E.J. Slow, A. Faust-Socher, A.E. Lang, M.A. Little, C. Marras (2018). “Investigating Voice as a Biomarker for Leucine-Rich Repeat Kinase 2-Associated Parkinson’s Disease”, Journal of Parkinson’s Disease, 8(4), 503-510. Haben, G. Giasemidis, F. Ziel, S. Arora (2018). “Short Term Load Forecasts of Low Voltage Demand and the Effects of Temperature”, International Journal of Forecasting, forthcoming. Prince, S. Arora, M. De Vos (2018). “Big Data in Parkinson’s Disease: Using Smartphones to Remotely Detect Longitudinal Disease Phenotypes”, Physiological Measurement, 39(4), 044005. Arora and J.W. Taylor (2017). “Rule-based Autoregressive Moving Average Models for Forecasting Load on Special Days: A Case Study for France”, European Journal of Operational Research, 266(1), 259-268. Jurynczyk, F. Probert, T. Yeo, G. Tackley, TDW. Claridge, A. Cavey, MR. Woodhall, S. Arora, T. Winkler, E. Schi er, A. Vincent, G. DeLuca, NR Sibson, M.Isabel Leite, P. Waters, DC. Anthony, J. Palace (2017). “Metabolomics Reveals Distinct, Antibody-independent, Molecular Signatures of MS, AQP4-antibody and MOGantibody Disease”, Acta Neuropathologica Communications, 5(1), 1-13. Griffanti, G. Zamboni, A. Khan, L. Li, G. Bonifacio, V. Sundaresan, U.G. Schulz, W. Kuker, M. Battaglini, P.M. Rothwell, M. Jenkinson (2016). “BIANCA (Brain Intensity AbNormality Classification Algorithm): a new tool for automated segmentation of white matter hyperintensities”, NeuroImage, 141, pp.191-205. R. Moulick, S. Arora, C. Jain and P.K. Panigrahi (2016). “Reliable SVD based Semi-blind and Invisible Watermarking Schemes”, International Journal of Computer Applications, 145(7), 1-5. Zablocki, S. Arora and M. Barua (2016), “Factors Affecting Media Coverage of Species Discovery”, Conservation Biology, 30(4), 914-917. Arora and J.W. Taylor (2016), “Forecasting Electricity Smart Meter Data Using Conditional Kernel Density Estimation”, Omega, 59, 47-59. Arora, V. Venkataraman, A. Zhan, S. Donohue, K.M. Biglan, E.R. Dorsey and M.A. 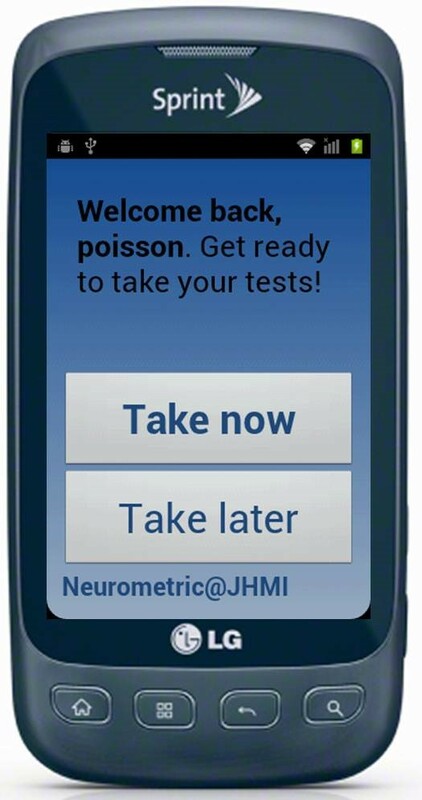 Little (2015), “Detecting and Monitoring the Symptoms of Parkinson’s Disease using Smartphones: A Pilot Study”, Parkinsonism and Related Disorders, 21, 650-653. A. Vasistha, F. García-Moreno, S. Arora, A.F.P. Cheung, S.J. Arnold, E.J. Robertso and Z. Molnár (2014), “Cortical and Clonal Contribution of Tbr2 Expressing Progenitors in the Developing Mouse Brain”, Cerebral Cortex, 25, 3290-3302. Arora and M.S. Santhanam (2014), “Synchronization of Coupled Map Lattice using Delayed Variable Feedback”,Journal of Applied Nonlinear Dynamics, 3, 245-253. Arora and J.W. Taylor (2013), “Short-term Forecasting of Anomalous Load using Rule-based Triple Seasonal Methods”, IEEE Transactions on Power Systems, 28, 3235-3242. Arora, M.A. Little and P.E. McSharry (2013), “Nonlinear and Nonparametric Modeling Approaches for Probabilistic Forecasting of the US Gross National Product”, Studies in Nonlinear Dynamics and Econometrics, 17, 395-420. H. Gharekhan, S. Arora, A.N. Oza, M.B. Sureshkumar, A. Pradhan and P.K. Panigrahi (2011), “Distinguishing Autofluorescence of Normal, Benign, and Cancerous Breast Tissues through Wavelet Domain Correlation Studies”, Journal of Biomedical Optics, 16, 087003. H. Gharekhan, S. Arora, P.K. Panigrahi and A. Pradhan (2010), “Distinguishing Cancer and Normal Breast Tissue Autofluorescence Using Continuous Wavelet Transform”, IEEE Journal of Selected Topics in Quantum Electronics, 16, 893-899. P. Ahalpara, S. Arora and M.S. Santhanam (2009), “Genetic Programming Based Approach for Synchronization with Parameter Mismatches in EEG”, Lecture Notes in Computer Science, 5481, 13-24. Arora, J. Acharya, A. Verma, P.K. Panigrahi (2008), “Multilevel Thresholding for Image Segmentation Through a Fast Statistical Recursive Algorithm”, Pattern Recognition Letters, 29, 119-125. H. Gharekhan, S. Arora, K.B.K. Mayya, P.K. Panigrahi, M.B. Sureshkumar and A. Pradhan (2008), “Characterizing Breast Cancer Tissues Through the Spectral Correlation Properties of Polarized Fluorescence”, Journal of Biomedical Optics, 13, 054063. S. Santhanam and S. Arora (2007), “Zero Delay Synchronization of Chaos in Coupled Map Lattices”, Physical Review E, 76, 026202. Hemachander, A. Verma, S. Arora, P.K. Panigrahi (2006), “Locally Adaptive Block Thresholding Method with Continuity Constraint”, Pattern Recognition Letters, 28, 119-124.